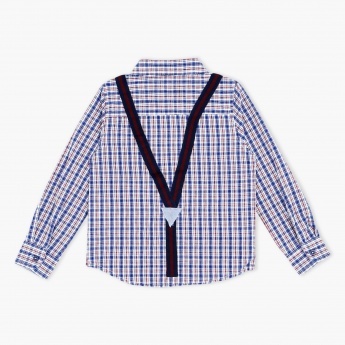 Your little champ will become a centre of attraction as he wears this classy shirt. 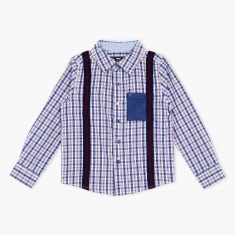 This chequered shirt looks impressive and has a suspenders like pattern to accentuate its overall modish look. The contrasting patch pocket on the front is designed for added appeal.